That doleful baying sound you're hearing? Sony releasing the hounds as all hell breaks loose. It seems someone just can't wait to collect unemployment, because these leaked high-res shots — ostensibly of Sony's unannounced but long rumored PSP makeover — look pretty darned convincing. Of course that's what I said when I saw the Brachiosaurus in Jurassic Park. Slightly predating the leaked shots: These new info bits, per a yanked (but resurrected) YouTube video of a Qore episode starring Sony Hardware Marketing Director John Koller. - 16GB of internal memory, expandable memory slot. - 43 percent lighter than the PSP-3000, making it roughly 108 grams. Nintendo's DSi weighs a comparatively chubby 214g. 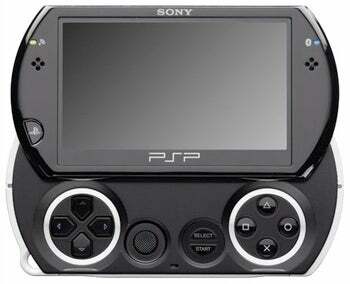 - A smaller 3.8" screen (the PSP-3000's is 4.3"). The DSi's is 3.25". - New games on deck, including Metal Gear Solid, Jak & Daxter, Gran Turismo, and LittleBigPlanet. - No second analogue nub. Doh. For more gaming news and opinion, point your tweet-readers at twitter.com/game_on.